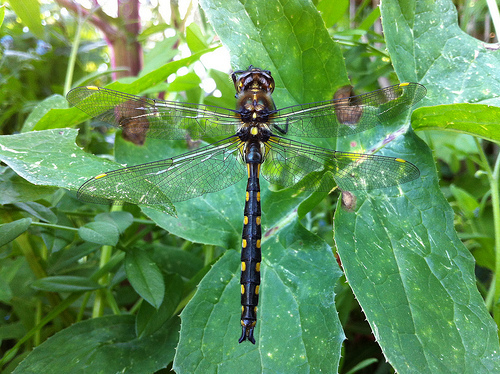 I love Dragonflies, perhaps the strongest flyers in the whole animal kingdom. 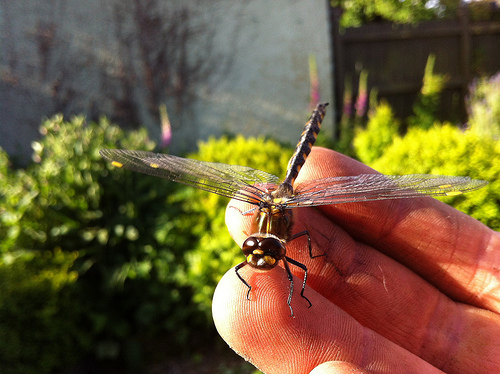 I found this nice Dragonfly cold, as their body temperature drops, they cannot fly. They were holding onto a shady weed, waiting for the morning sun around 6:30PM at night. Imagine having "Slaughter" as your surname!